« SFSG 10th Anniversary Party! Loo, Loo Scoot to the ZOO! East Bay scooterists, this one’s for YOU, and for anyone, anywhere who loves scenic rides! 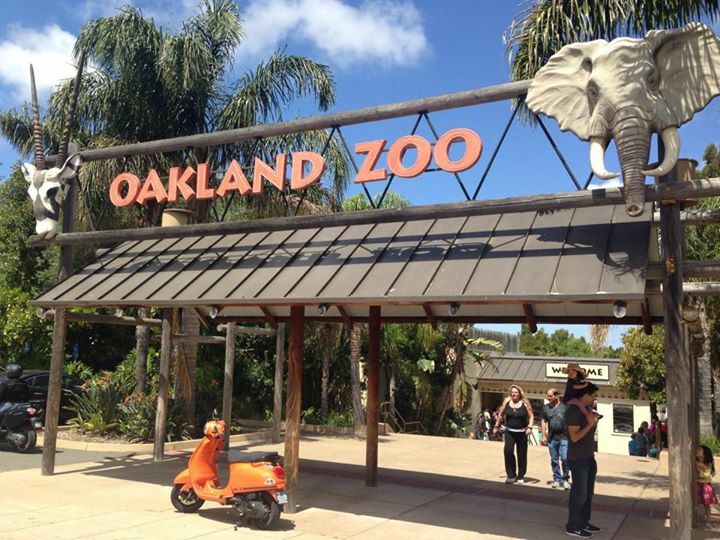 We’ll meet at Cole Coffee, College Ave & 63rd St, Oakland, at 10am, and the ride will leave at 10:30am through the Oakland hills, stopping for spectacular views of the bay and bridges and ci-tay, then stopping at the Oakland Zoo. From there, we’ll see how many in the group want to cough up the $15.75 adult admission to visit the zoo (lions and tigers and bears…oh my! ), or we can continue the ride downhill, along the bayshore and stopping for brunch at Otaez in Alameda (1619 Webster Street) for $11.75 buffet that includes a mimosa! If you live in San Francisco and would like to cross the Bay Bridge in a group with other riders, we’ll plan for a San Francisco meet-up departing at 9:30am. Rain and/or high winds will cancel the ride.